Follow bear biologist extraordinaire Chris Morgan from the wild’s of the far north to the mountain deserts of Peru to the jungles of Borneo in this superbly filmed and narrated full-length wildlife documentary. Deeply passionate in his vision to positively affect the world, Chris’s premise is that if people understand and appreciate bears in all their amazing diversity, they will take action to help these fascinating animals, which will in turn help to safeguard our shared environment.We watched the film for free on Amazon Prime. I (Barbra) have had the opportunity to interview Chris Morgan with students on two different occasions, a testament to how generous Chris is with his time and how dedicated he is to bringing his message to young people. Have a wildlife documentary you’d like to let others know about? Leave a comment below! 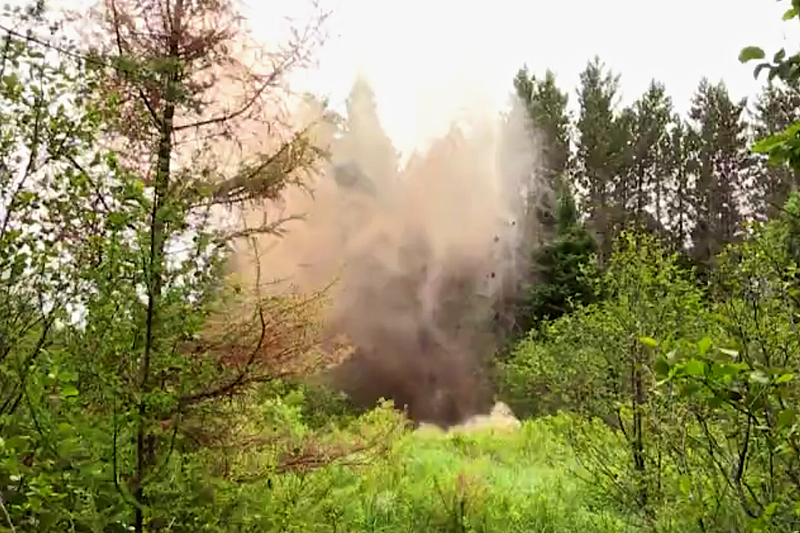 This video (see link below) showing a beaver dam being blasted sky high by Wisconsin Wildlife Services in the name of “improving habitat for trout” left us speechless. This particular detonation took place on the upper reaches of Wisconsin’s Wolf River, a National Scenic River. We’re interested to know what readers think of this strategy for managing wildlife and natural resources. Beaver ponds such as this one in British Columbia represent biologically rich, exceptionally diverse, constantly changing micro-habitats within the larger forest.The many snags (dead trees) in this pond represent feeding opportunities for woodpeckers as well as potential cavity nesting sites for a variety pf species of birds and mammals. Eventually, this pond will become silted in, the beavers will leave, and a beaver meadow will replace the pond. 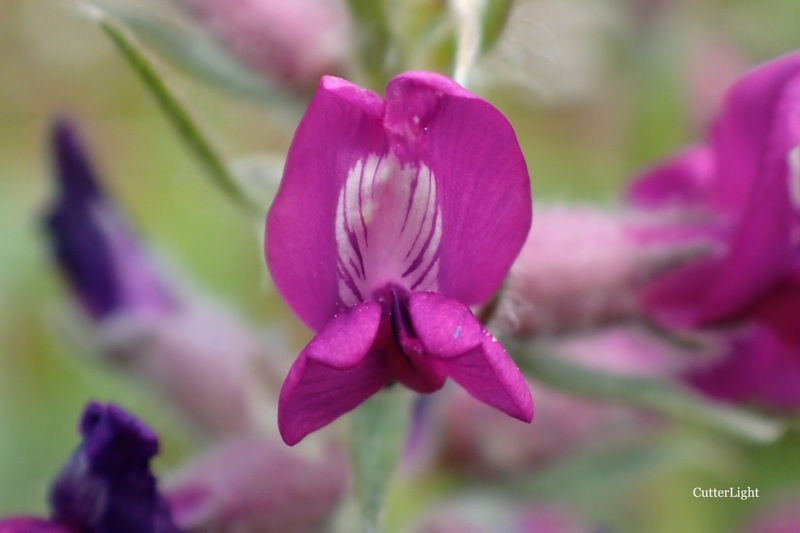 These meadows, free from the shade of the forest canopy and with a bed of thick, fertile soil create places where unique species of flowers and other plants thrive. Black bears are among the many animals that visit these meadows to graze on the grasses and berries that may not exist elsewhere in the forest. The meadow itself will eventually be replaced by mature hardwood forest. So it has been in North America for thousands and thousands of years, with trout, beavers, bears and berries co-evolving. Barbra and I watched this video and listened to these comments with our jaws hanging open. Speechless. After about two minutes, the video came to an end. 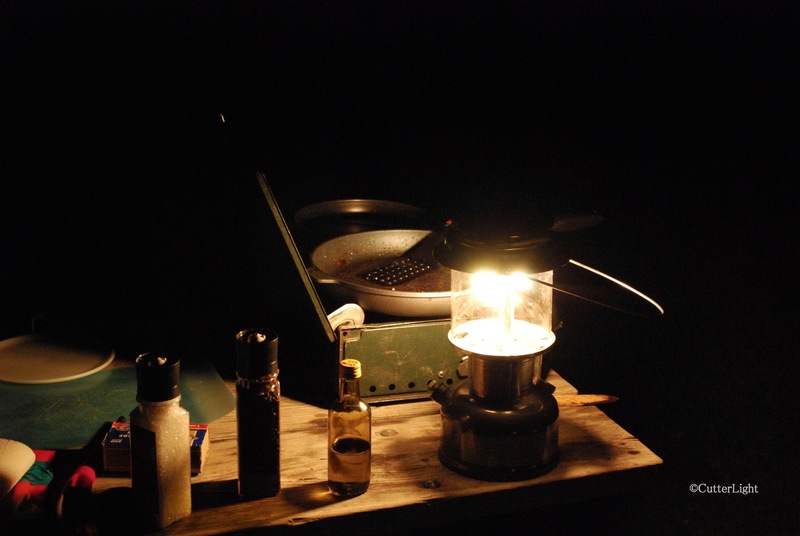 For the past day, we’ve been researching this issue as thoroughly as we’re able to, reaching out to Trout Unlimited groups in Wisconsin and kicking our own thoughts around between each other. We haven’t reached any conclusions. But we do have a few observations. If… if… the chief or only goal of environmental stewardship were to improve brook trout habitat, Wisconsin’s beaver management strategy might deserve a round of applause. Brook trout thrive in cold, free-flowing streams that feature clean, silt-free rock and gravel bottoms. Temperatures in beaver ponds can hit 70 degrees or more under the summer sun, near the upper limits of what these native char can tolerate and well above their preferred temperature range of 55 – 65 degrees Fahrenheit (12 – 18 degrees C). And because brook trout have very specific requirements for successful spawning – small, clean gravel where upwelling from springs occurs – it’s critical that they be able to access these areas during the fall spawning season. So just blow up the beaver dams, right? 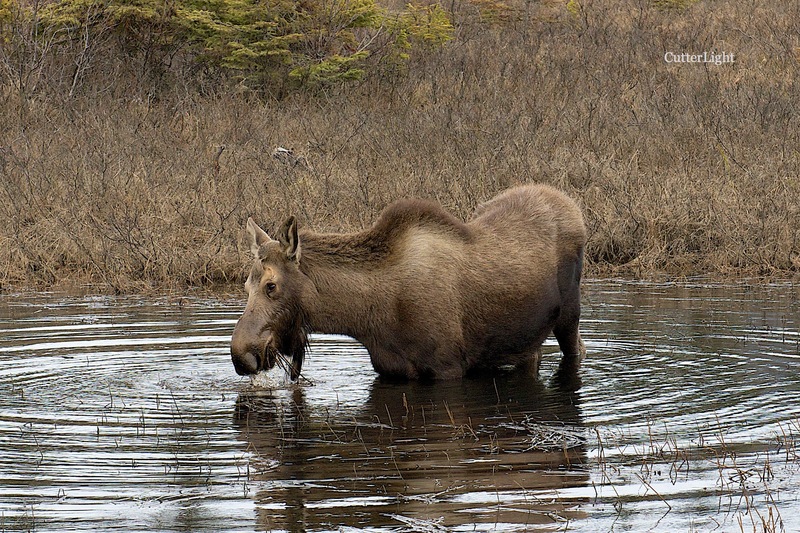 After a long winter in Alaska, this young moose finds a meal in the upper reaches of a north country beaver pond. 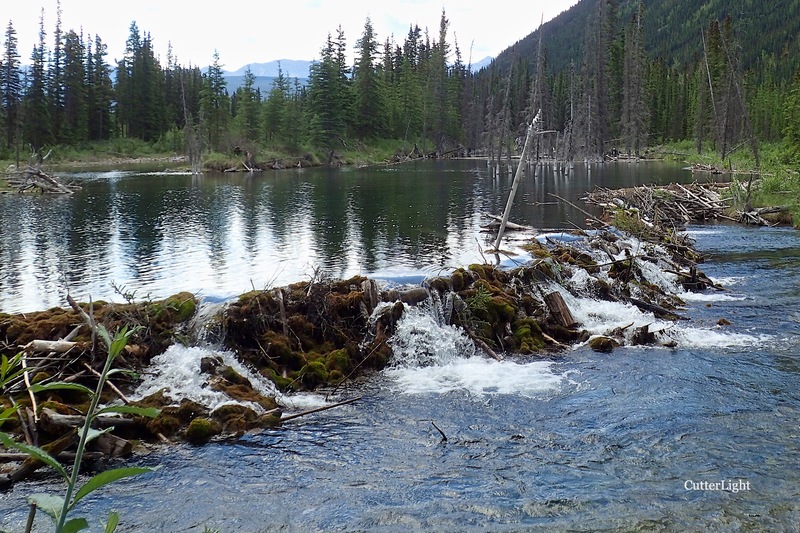 Beaver ponds represent dynamic, ever-changing micro-habitats that foster some of the greatest species diversity in the forests where they are found. We’re for biodiversity. As much as we enjoy trout fishing, we would never wish that our desire to catch a particular species of fish be placed above the overall health of an ecosystem. During the life of the beaver pond, it can provide vital habitat for all kinds of animals. As trees are drowned, they become snags. (One Wisconsin DNR report stated simply that “beaver dams kill trees” – an example of how a statement can be both completely true and completely misleading. Dead trees are part of every healthy forest.) Pileated woodpeckers and other woodpeckers utilize these snags as forage bases and nesting sites. The cavities woodpeckers create in turn become nesting sites for flying squirrels, owls, wood ducks, and host of other mammals and birds. Meanwhile, these ponds become important stop-over or seasonal habitat for a variety of waterfowl and often attract shore nesting species. Tree swallows, flycatchers and similar passerines thrive in the edge habitat created by the beavers’ activity. Again, the snags provide nesting sites, and the cleared airspace above the insect-rich pond creates excellent feeding opportunities for insect eating birds as well as for bats. The pond itself becomes one the most biologically rich systems in the forest – perhaps the most biologically rich. Everything from burrowing mayflies to dragonflies and damselflies to a variety of aquatic beetles inhabit these waters. Amphibians such as newts, salamanders, toads and frogs depend on these these ponds as well, which provide vital nurseries for their young. Aquatic and semi-aquatic snakes take advantage of the smorgasbord, and in turn may provide a meal for a hawk. 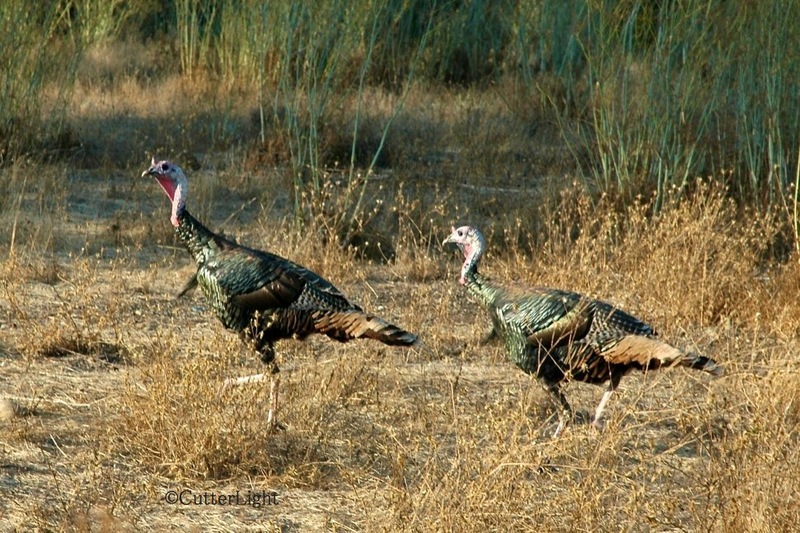 Deer, moose, turkeys and grouse are among the frequent visitors to the edge habitat found along the shores of beaver ponds. Silt prevented by the dam from moving downstream eventually creates a rich bed of mud which in turn fosters the growth of aquatic vegetation. This vegetation may provide a meal for a moose or a migrating duck, a nursery for the young of certain fish species, a place for a tiger salamander to attach its eggs, or an ambush post for a predacious diving beetle. What’s best for trout is not necessarily best for the countless other species that depend on the habitat created by beaver ponds. 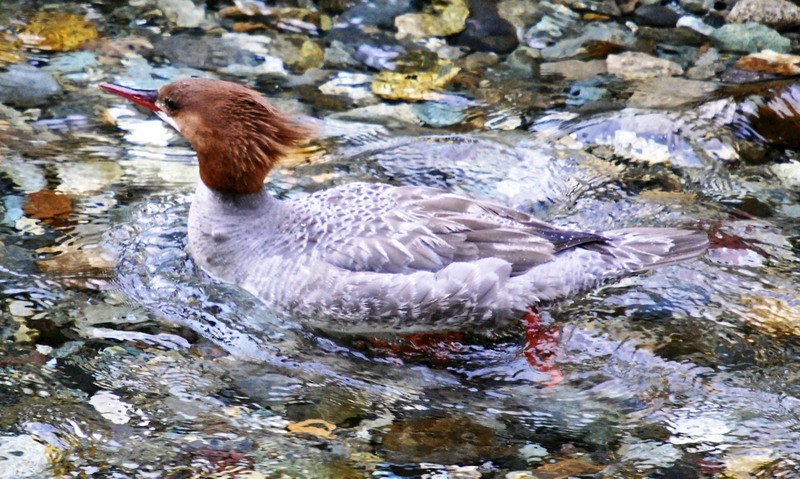 Healthy stream and forest systems feature a variety of habitats. One of several stunning flowers we photographed last summer along the shores of a beaver pond. Moreover, because these dams cause water to pool, some of that water percolates down into subterranean aquifers. This should be an important consideration in a state that is rapidly pumping its aquifers dry. The particular stream in question, the upper reaches of the Wolf River, becomes vital lake sturgeon spawning habitat further down river. As the underground aquifers beaver dams contribute to resurface in the form of springs further downstream, these springs cool the main river, which helps ensure that lake sturgeon spawn successfully. Take away the beaver dams upstream, and you take away a piece of a complex system which countless species have evolved to thrive in. Eventually these ponds become overly silted, increasingly shallow and the beavers move on. Over time, the dams break up, the stream cuts a familiar channel, often finds a rock bed again. What’s left behind is a beaver meadow – a place with thick, rich soil capable of supporting an incredible variety of trees, flowers and grasses. 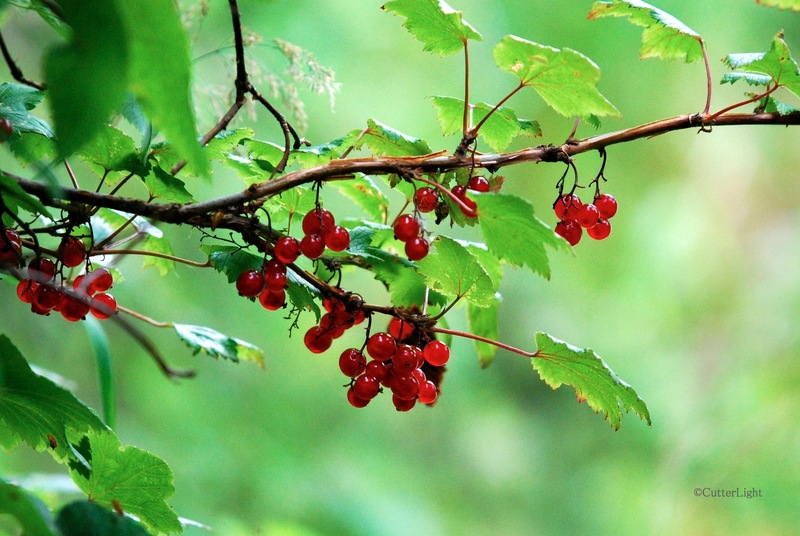 For the overall health of the forest, it’s a good thing that these dams retain forest soil. Butterflies take advantage of the abundance of flowers, deer and bears come for the grass, and the snags – the trees that died when they became flooded – continue to provide nesting sites for a variety of animals till the day they fall to the earth and become nursery logs. It’s important to keep one other fact in mind. Salvalinus fontinalis, the native char most fishermen refer to as the brook trout, has been co-evolving with beavers and beaver dams for longer than humans have been on the North American continent. This sudden need to “manage” wildlife is an outcome of an ongoing series of humankind’s mismanagement of this planet. All this being said, it may appear that we’ve made up our minds on this issue. 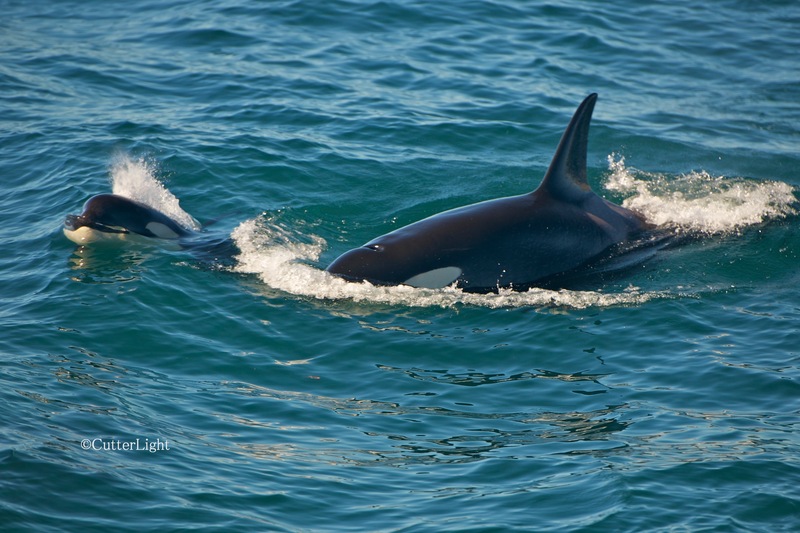 Reintroduce predators and foster the growth of their numbers. Predators? That would be wolves. The problem with that strategy is that wolves historically have been more interested in ungulates such as deer and moose (and even in voles and mice) than in beavers. Prior to European settlement, the population of beavers in North America is estimated to have been between 60 and 400 million. There were lots of wolves back then, too. They apparently weren’t eating many beavers. Continue the present strategy. Where beaver dams appear to be negatively impacting brook trout habitat, kill the animals and tear out their dams. If the dams can’t be broken up by hand, employ explosives. Do nothing. Let it go. Enjoy the biodiversity beaver ponds foster. If the natural activity of beavers temporarily (or permanently) makes a stream unsuitable for brook trout, rest assured that the habitat is probably becoming just right for other species. 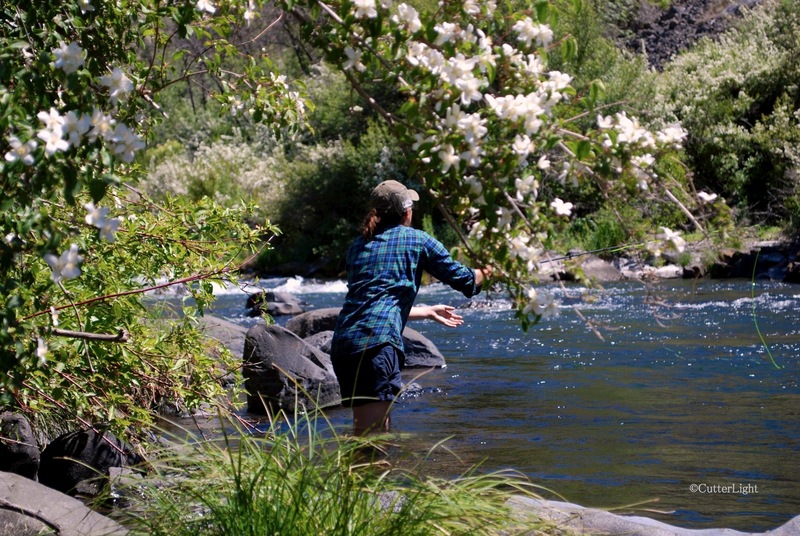 Find another stream to fish, or tie up some Clousers and go bass fishing. And if anyone is really concerned about rising temperatures in streams, maybe consider getting rid of your air conditioner, installing double-paned windows in your house, and locating in a place where you can leave your car at home and walk to work, to the grocery store, and to your friends’ homes. We’re sure there’s more to the beaver situation in Wisconsin than we currently realize. We’d love to hear what others think. Thanks for reading. 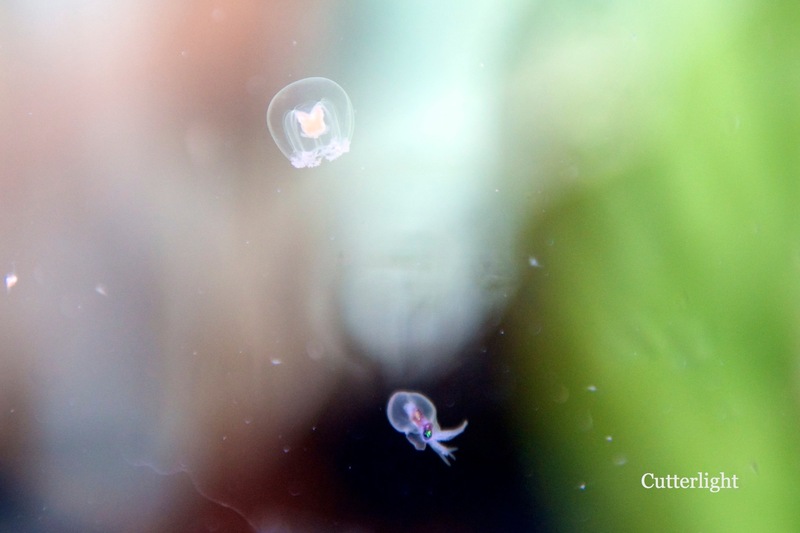 This tiny jellyfish and the octopus behind it are about the size of a pencil led, translucent, and barely visible to the naked eye. 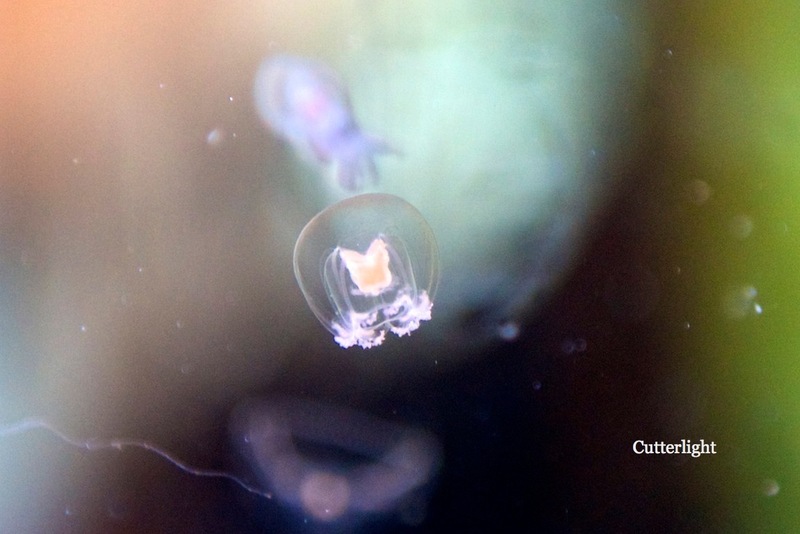 Key species near the base of the food web such as herring, sardines, menhaden and mullet routinely ingest plastic fragments as they filter the water for the nutritious plankton they feed on. 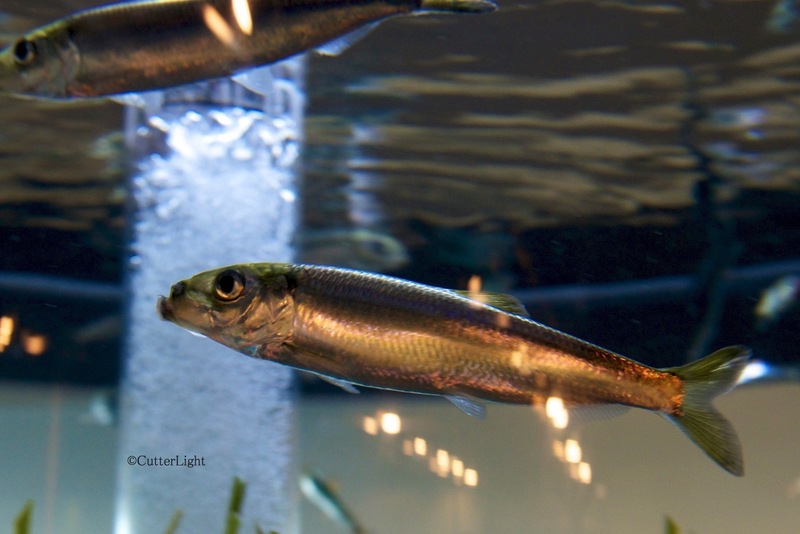 Pacific herring feed by facing into the current, hanging their jaws open, and sifting out tiny plants and animals. 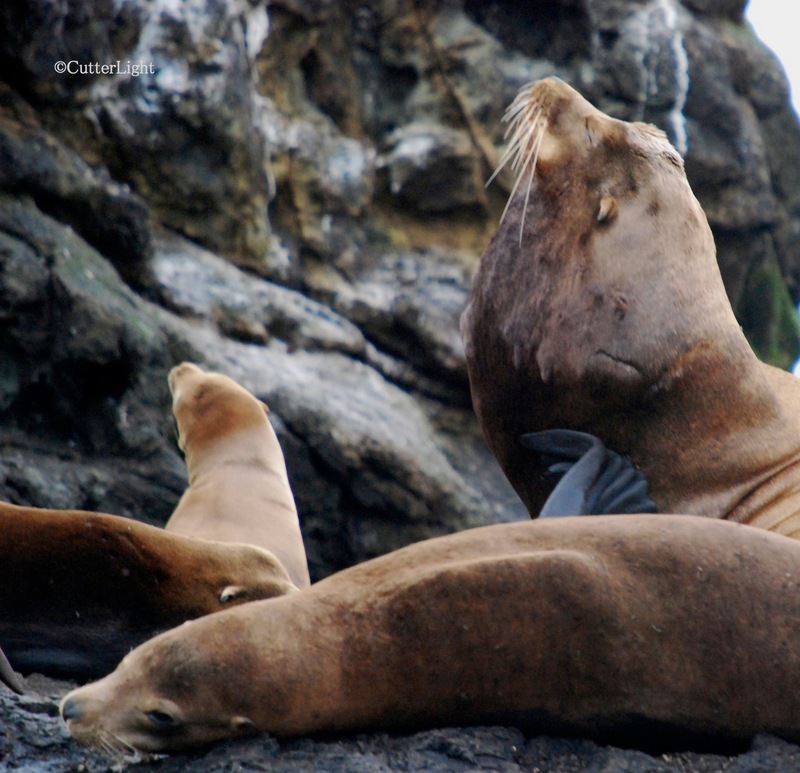 As plastics break down into fragments – as all plastics from discarded shopping bags to cigarette butts eventually do – the fragments mix in with the rest of the planktonic drift and are consumed by small fish… which are in turn consumed by larger fish, whales, sea lions and us. 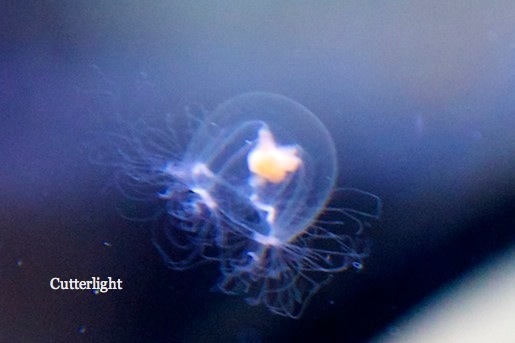 These photos were taken at the Seward Sea Life Center in Seward, Alaska. Visit an aquarium today to learn more about what you can do to help keep our oceans clean and healthy. 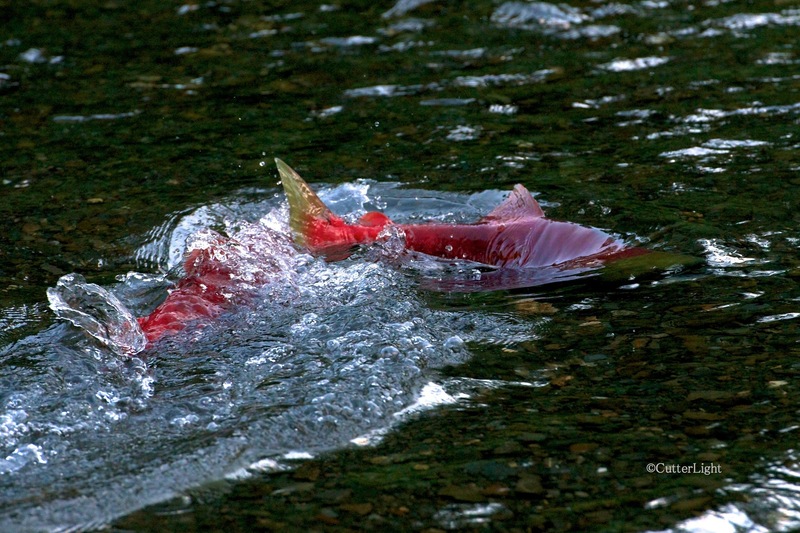 And reason #10: Because salmon make a landscape more beautiful. 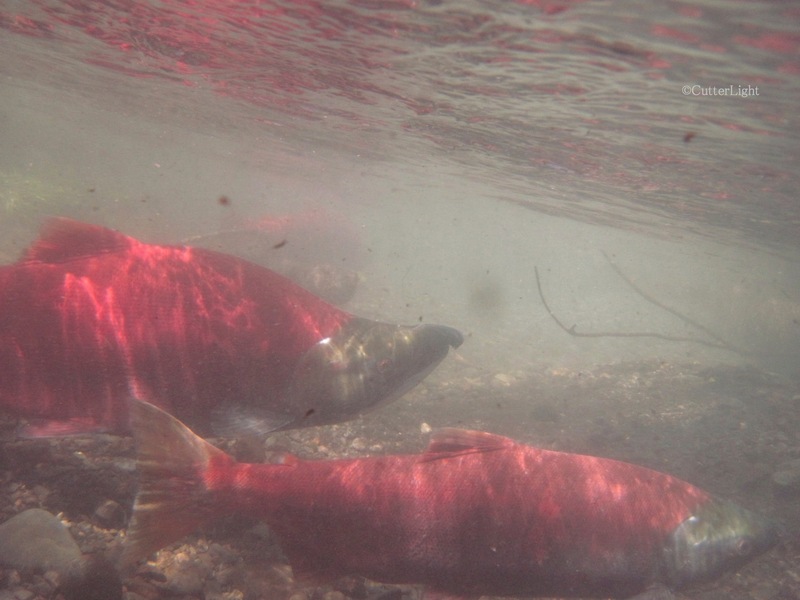 Top photos: spawning sockeye salmon. Bottom photo: spawning chum salmon. About Trout Unlimited: For 54 years, TU has been a leader in ensuring that we have cold, clean rivers and streams for generations to come. 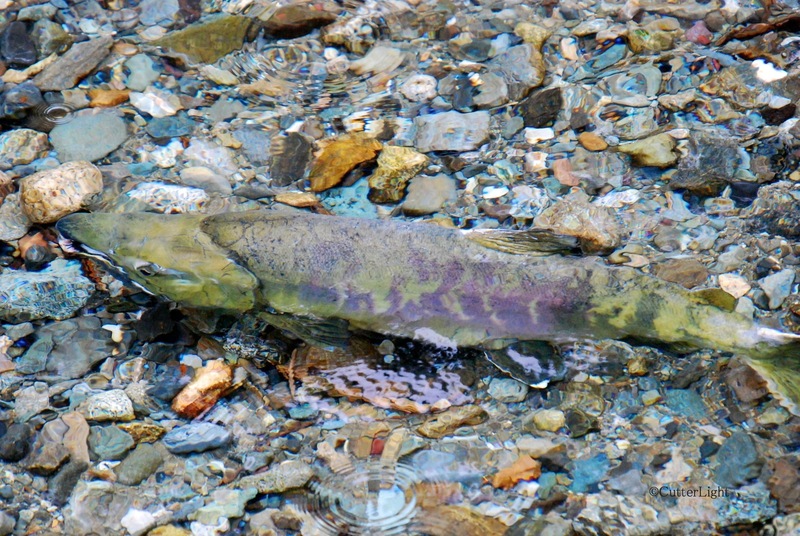 From Northern California to Alaska’s Tongass Forest, from Bristol Bay to the Appalachian Mountains, TU has been instrumental in getting dams removed from rivers where they do more harm than good, keeping mining and drilling out of our most fragile ecosystems, and protecting trout and salmon forests. At the same time, TU has been dedicated to educating and involving the next generation of environmental stewards – our children and grandchildren. 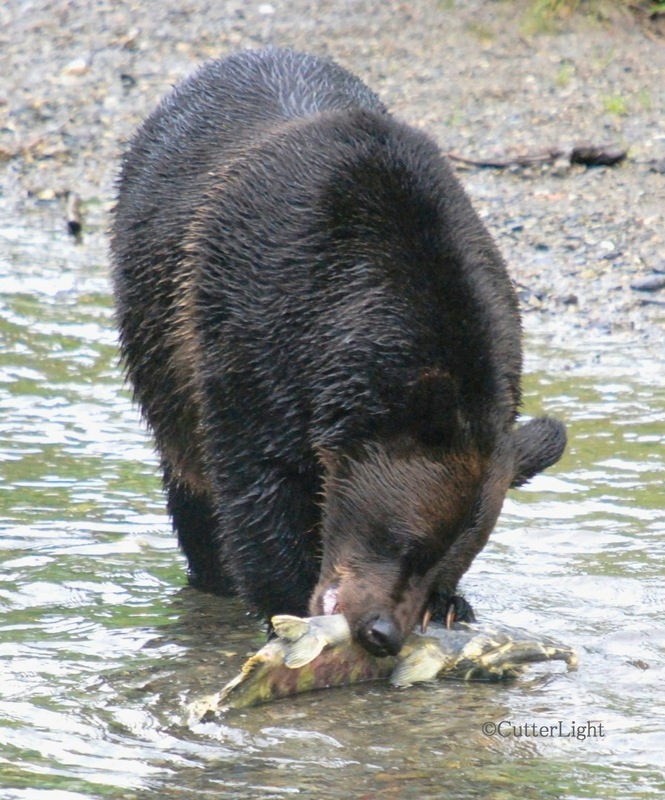 As illustrated above, TU’s efforts benefit much more than trout and salmon. 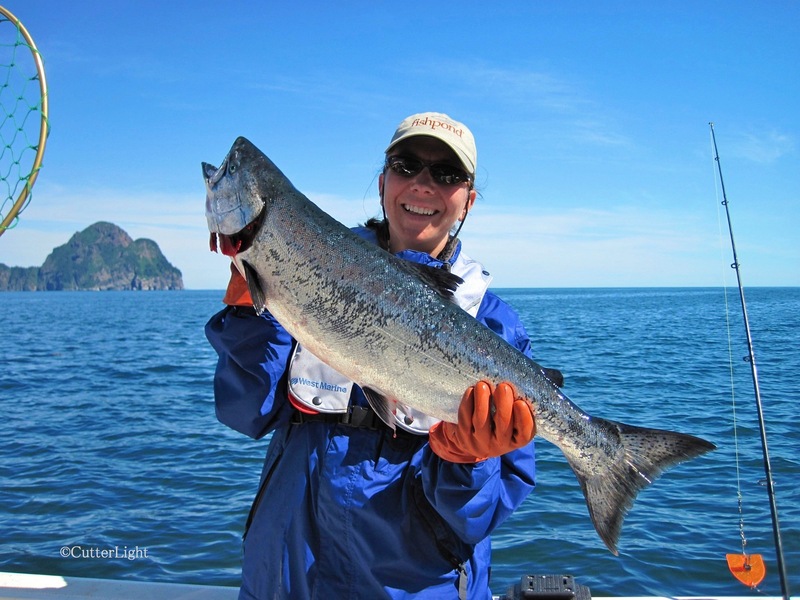 Click here to find out how you can become a member: Trout Unlimited. At some point during my youth in western Pennsylvania, I read about a magnificent bird – the ivory bill woodpecker, the Lord God Bird. 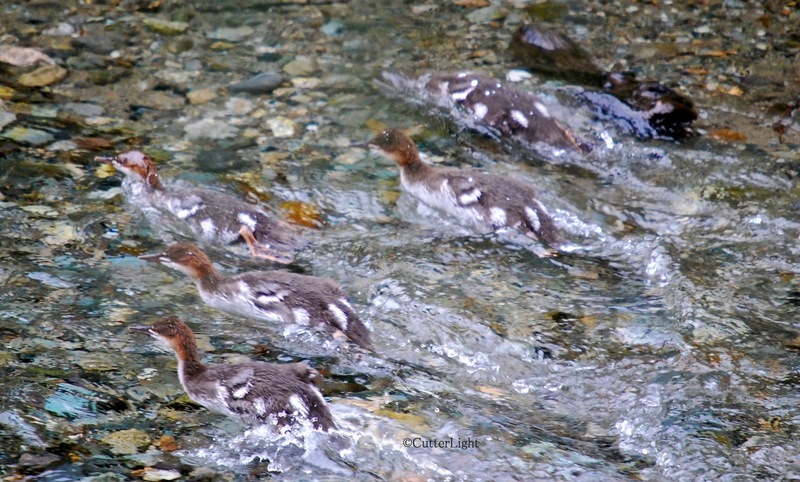 I wanted badly to see one and I knew that my dad – a naturalist – would know where to look. “They’re gone,” he said. I looked at him quizzically. “They’re extinct. They need big, old forests, and the big, old forests have all been cut down.” My dad was right. You should know that going into this film – a feature-length documentary that is powerful and sad and very much worth seeing. too small to sustain these great birds. and darkness like a black and white diamond on a water oak trunk. that rose and died 60 years ago. If you believe that farmed salmon are part of a solution, to anything, we hope you’ll watch Salmon Confidential. 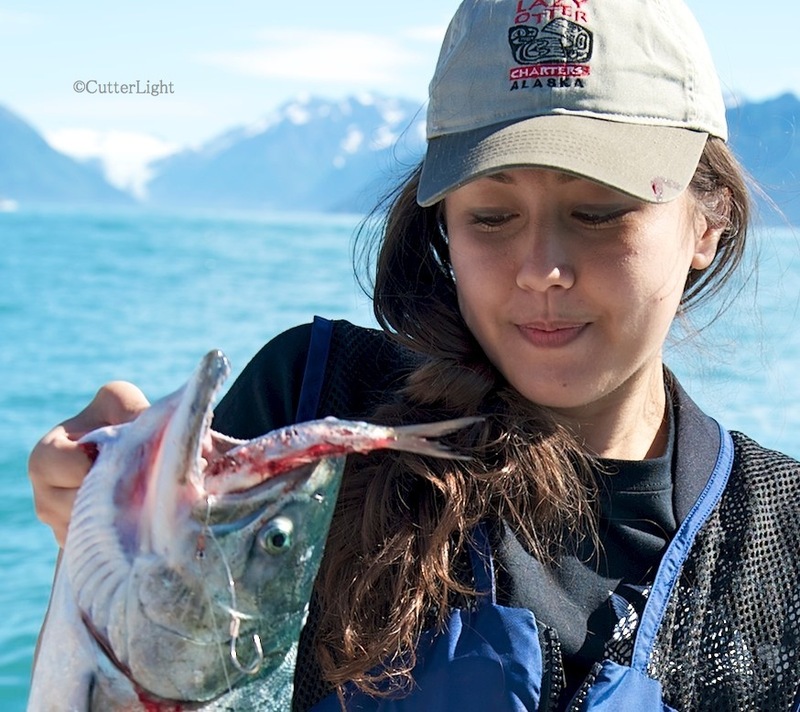 If you believe farmed salmon are a healthy food choice, we hope you’ll watch this video. The setting is British Columbia, Canada. The protagonists are wild salmon, river keepers, and scientists. The film is a fast-paced hour that will leave anyone who watches it and who cares about the food they eat, about our planet’s wild places, and about government transparency and its proper role in mega-farming of all descriptions with serious questions.